CAS Ad has grown from a two-man company to more than forty-man strong. We work six days a week, and very often on Sunday as well. Our people have strong dedication and will work hard to deliver within deadlines. We have the resources to take on projects of substantial size. 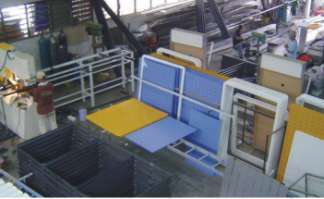 Our company has two main divisions: Office and Production. The office has Accounting, Admin, Design, Sales, Qualty and Project Management. The production comprises of Installation, Steel, Aluminium & Stainless-Steel, Plastic & Sign, LED & Neon, Routing, Carpentry, and Spray-Painting. © 2007 CAS Ad Marketing Sdn Bhd. All Rights Reserved.